Yes, I know, but it looks like its more than half a billion dollars. It would be a very nice project if its true. would be awesome. however even if it did go through, I hope there'll be nearby commercial areas! 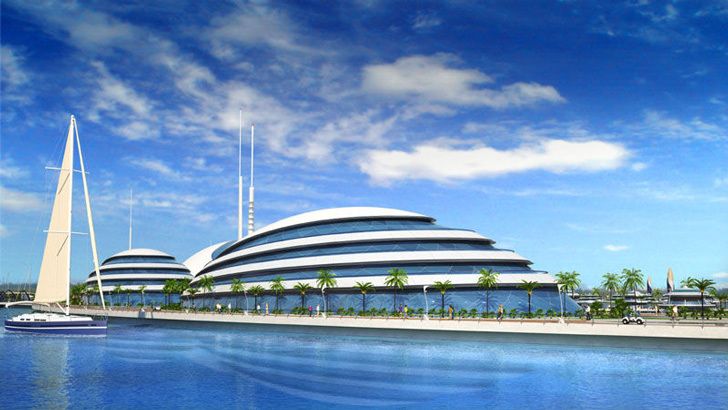 Called Amphibious 1000, this design envisions Qatar’s first semisubmerged hotel as a big aquatic animal stretching out from the land into the sea. Designed by the Giancarlo Zema Design Group, the project is composed of a land section and sea section, with all of the structures situated in a semi-circle around a tower containing a restaurant with sweeping panoramic views. 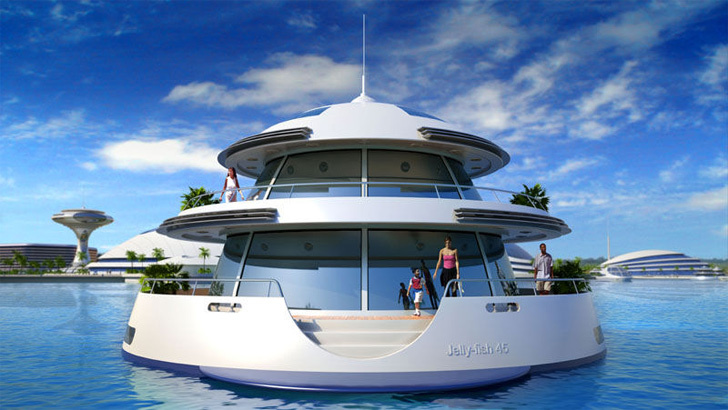 Guests will be able to stay in the 80 floating suites (called jelly fish) which will boast underwater views within the artificial reef. hi suzan this was posted before. Nevertheless a good idea. Looks spectacular! Best of luck to Qatar! 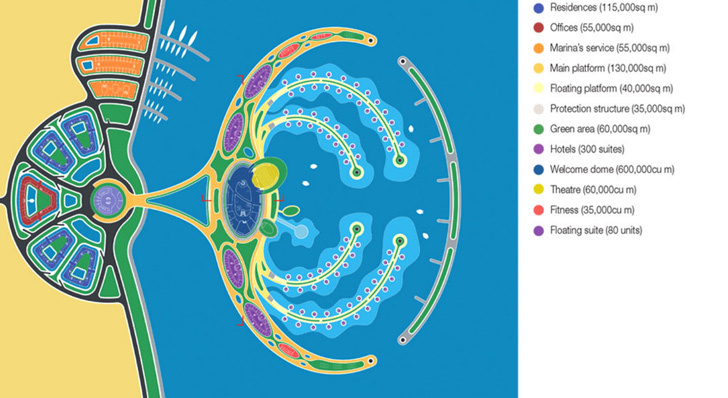 I'd love to stay in one of these jelly fish some day. But do you guys think that Qatar is over-doing it with the hotels and skyscrapers? It all seems very speculative to me. I've said this elsewhere in SSC, but I think Doha is shaping up to have the nicest skyline in MENA and I am a big fan of a lot of the projects there, especially Education City. BUT... I wish Doha would have embarked on a different development strategy than Dubai---- i.e., focusing on building an actual city with a nice, coherent feeling rather than building a bunch of shopping malls, skyscrapers, and 25 star hotels (i.e., vanity projects--- in my opinion). You guys have so much money, if you develop the right development strategy, you could make Doha one of the most beautiful cities on earth. Dubai to me is unoriginal and a somewhat cheaply done imitation of other cities in the world; Doha can be something unique and special. 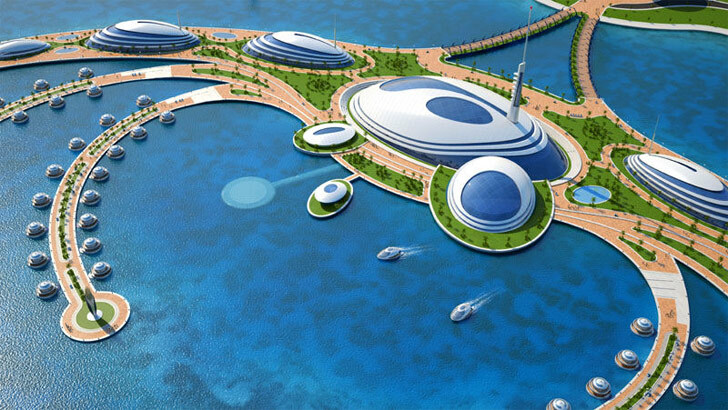 thats why Qatar 2030 strategy came out I sometimes try to ignore these projects and hope it wont get approved " excluding this one sorry suzan"
This innovative project has been designed by the Giancarlo Zema Design Group for an Arabian commission. It is the first semi-submerged hotel resort called Amphibious, stretching out from the land into the sea and extending 1km parallel to the land with two ‘arm’ landmasses. 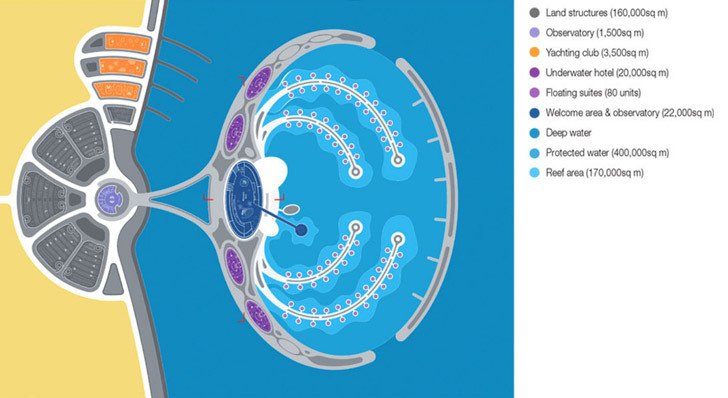 The project is composed of a land section and sea section. On the land area will be multiple residential buildings, office buildings and a marina with a modern and flexible harbour. 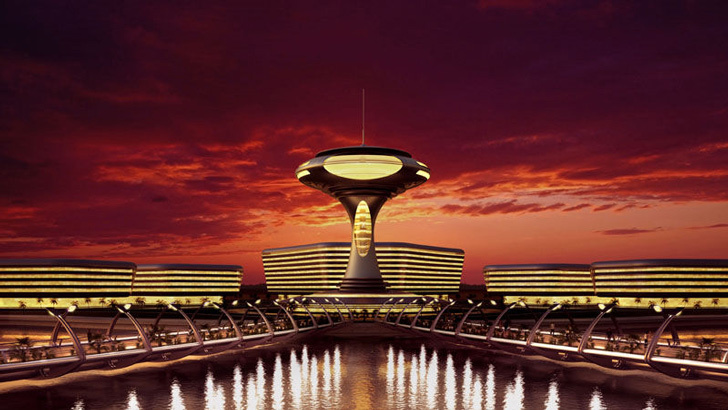 All the structures are situated in a semi-circle around a central tower with the panoramic restaurant. 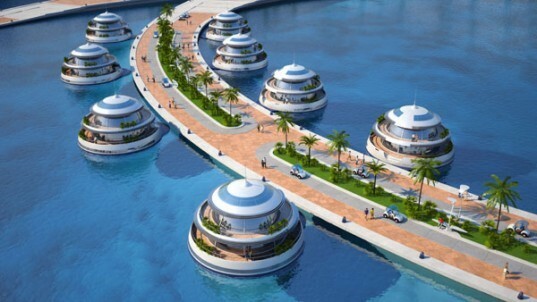 In the sea section there are four innovative semi-submerged hotels with underwater halls that give fascinating views. The four hotels echo the soft lines of the super-yachts anchored on land. Large diagonal glass windows make the hotels memorable, each with 75 luxury suites arranged around the perimeter of the building so each unit has a big terrace that overlooks the complex. 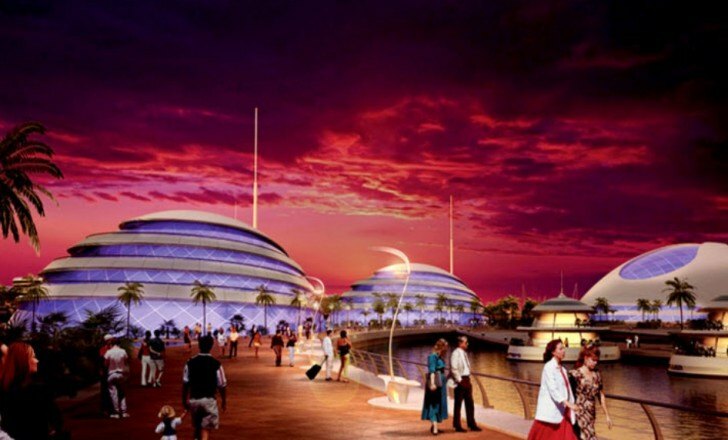 The hotels are situated around a central public welcome area that has an interactive museum on water life and water exhibition galleries, large perimetral aquariums and a glass tunnel that leads to the underwater observatory in the centre of the whole marine park. Connected to the welcome area by the arm extensions are fitness areas, gardens and a special outdoor theatre with a moving stage that opens out on the sea. Oh sorry, i didn't notice. I gotta delete it then but i don't know how! Last edited by The executive; August 12th, 2011 at 04:22 PM. Sounds like there is no progress or it is hidden in a mysterious place. Last edited by The executive; August 16th, 2011 at 12:19 AM. I saw this on alarabiya too, it doesnt seems like it will be in Doha. any idea about the location ? 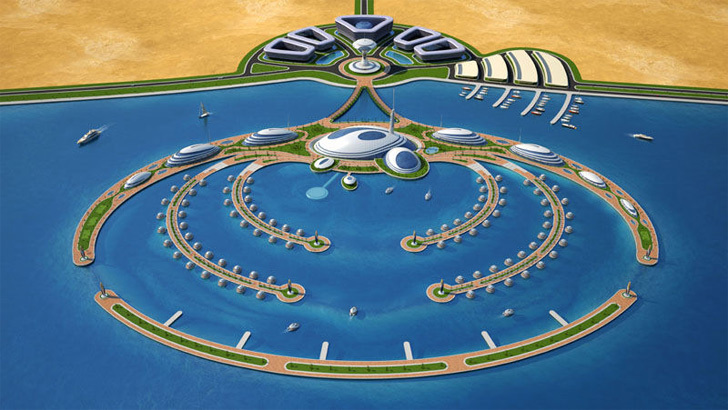 I've read somewhere before that barwa is going to build a resort in abusamra , Could that be the same project ?